I know oats aren’t the most appetizing dish, but in my opinion, they are the most tasty breakfast item. Ever since I discovered Corner Bakery‘s Swiss Oatmeal (about 5 years ago), I’ve been making my version for breakfast at least 5 times a week. 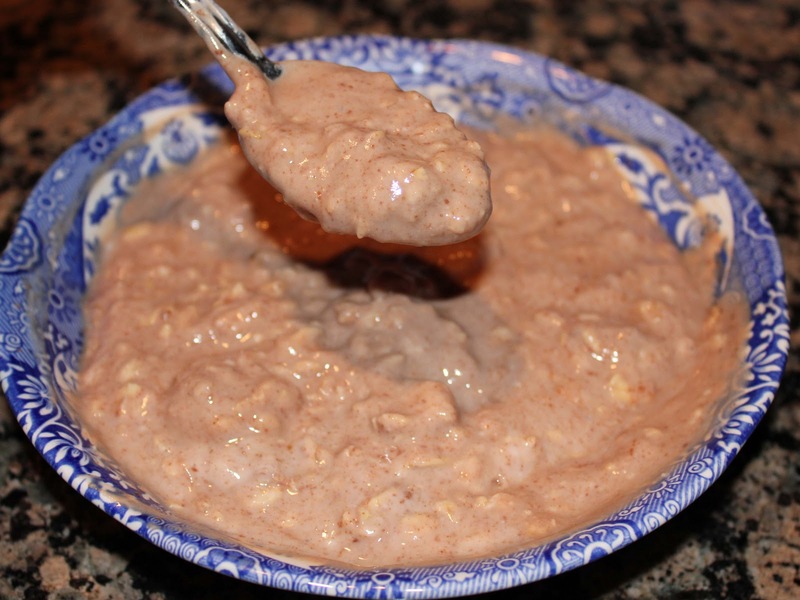 I love the smooth, sweet, chilled texture of swiss oatmeal with my favorite fruits….blueberries, apples, bananas, dried blueberries, craisins, pecans, Colorado honey, skim milk, and vanilla yogurt. Swiss oatmeal is usually my Sunday dinner as well. For those that live in Texas, you know it can be hot, and we had the hottest and driest summer on record since 1980! Therefore, when I make breakfast, especially after a long run, I really enjoy a nice chilled bowl of swiss oatmeal. I am one of those people that cannot skip breakfast…I don’t think I have EVER missed it in my entire life! I really don’t understand how some people skip this most essential meal of the day! My question for those that skip breakfast is: You just went 9-12 hours without eating, how are you not starving? This week, I discovered Peanut Butter Finger’s recipe for Overnight Chocolatey Oats. I love PB Finger’s blog because she is like me…loves running, smoothies, and oatmeal… and has oats for breakfast nearly every morning. Her overnight chocolatey oats are super easy, healthy, and good. With only 5 ingredients, you can make it in minutes. If you are impatient like me, you can make the oats and eat them immediately rather than letting them sit overnight. 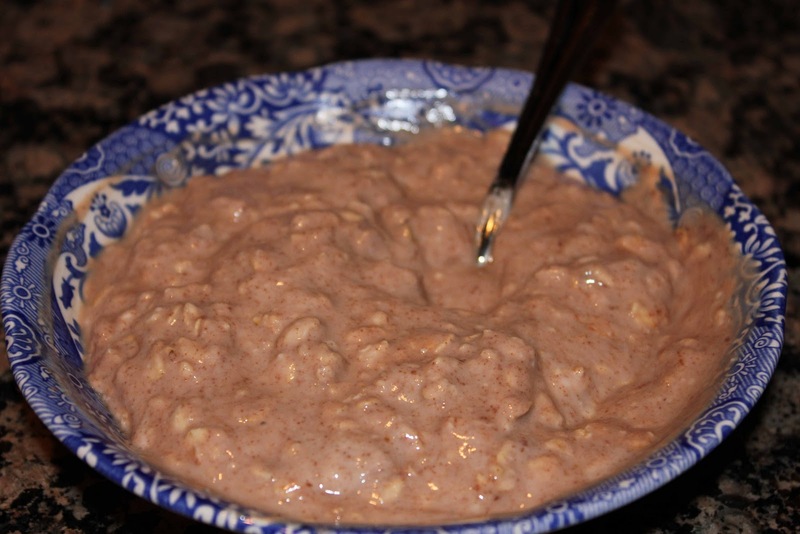 The only difference is the texture…the oats thicken as they refrigerate. Instead of my Swiss Oatmeal, I made this chocolate version of chilled oats every morning for breakfast this week. It is perfect after a run, and extremely filling, especially if you use Greek yogurt as opposed to plain (it packs twice the amount of protein). Combine all ingredients together and let sit overnight in the refrigerator. Enjoy the next morning, with sliced bananas (optional).